^ Jones pp. 2–3. Hubbard p. 17. Mahin p. 12. ^ Mahin p. 47. Taylor p. 177. ^ Mahin p. 7. 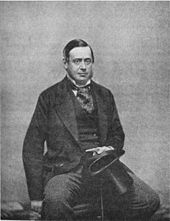 Mahin notes that Seward had talked in the 1850s of annexing Canada and in February 1861 had spoken frequently of reuniting the North and South by a foreign war. ^ Jones pp. 3–4, 35. ^ Hubbard pp. 34–39. Walther p. 308. 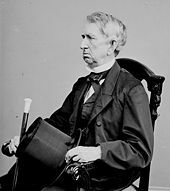 Russell had written to Lyons about the arrival of the three Confederates: “If it can possibly be helped, Mr. Seward must not be allowed to get us into a quarrel. I shall see the southerners when they come, but unofficially, and keep them at a proper distance.” Graebner p. 64. ^ Mahin p. 48. Graebner p. 63. Donald, Baker, Holt p. 312. ^ Donald, Baker pg. 314. Mahin pg. 48-49. Taylor pg. 175-179. 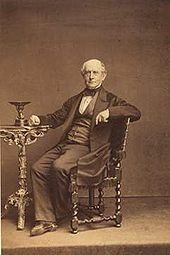 Taylor notes that British officials already believed that Seward would provoke an international crisis as a diversion from the Union’s internal problems. 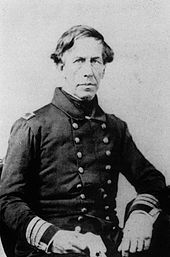 For example, an article in the New York Times, believed to have been planted by Seward in order to transmit a warning to Britain, had said that any permanent dissolution of the Union would invariably lead to United States acquisition of Canada. ^ Mahin pg. 54-56. Hubbard pg 50-51. ^ Hubbard pg. 60-61. Mahin pg. 58. Musicant pg. 110. ^ Mahin pg. 59. Donald, Baker, Holt pg. 315. Ferris pg. 22. Wilkes later said that he had consulted “all the authorities on international law to which I had access, viz, Kent, Wheaton and Vattel, besides various decisions of Sir William Scott and other judges of the Admiralty Court of Great Britain.” Musicant pg. 111. Musicant notes that the availability of the law texts on San Jacinto were the result of the complex legal situations that were likely to have been encountered in its two year anti-slave-trade patrol of the African coast. ^ Mahin pg. 60. Ferris pg. 22. Monaghan pg. 167. Williams was the only British naval officer involved in the incident. ^ Charles Francis Adams Jr. pg. 548. ^ Mahin pg. 62. Nevins pg. 392-393. ^ Jones pg. 88. Warren pg. 174-175. ^ Baxter, “Papers Relating to Belligerent and Neutral Rights, 1861-1865 pg. 84-86. Warren pg. 96-97. 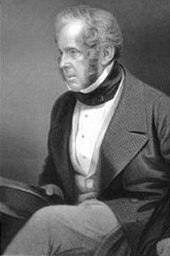 Warren writes that at a cabinet meeting on November 11 Lord Chancellor Richard Bethell, an Admiralty judge for twenty three years, and Dr. Stephen Lushington, a judge on the High Court of the Admiralty, both argued that simply removing the envoys would not have been a violation of international law. ^ Donald, Baker pg. 316. Mahin pg. 25. ^ Jones pg. 84-85. Ferris pg. 52. Mahin pg. 69. 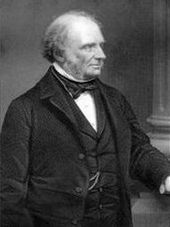 Lyons, in a private letter, reported to Palmerston that (although he could not “vouch for the truth” of his source) he had heard that unbeknownst to Lincoln, Seward had directly ordered the capture by Wilkes. Mahin pg. 70. ^ Ferris pg. 52- 53. ^ Baxter, The British Government and Neutral Rights pg. 10-12. ^ Ferris pg. 64. Warren pg. 133. Bourne pg. 607. ^ a b Warren pg. 133. ^ Bourne pg 620-621. On December 26 de Gray had prepared a memorandum indicating 7,640 troops would be needed for the initial attack. Macdougall had prepared a memorandum on December 3 in which he suggested that 50,000 troops would be necessary to guarantee success. ^ Mahin pg. 70. Ferris pg. 180. ^ Mahin pg. 98. Warren pg. 158. The words in quotes are Dayton’s. ^ Weigley pg. 79. Ferris pg. 181-182. ^ Ferris pg. 181-183. Taylor pg. 184. Fairfax, D. Macneil. Captain Wilkes’s Seizure of Mason and Slidell in Battles and Leaders of the Civil War: North to Antietam edited by Robert Underwood Johnson and Clarence Clough Buel. (1885).